Season skinless chicken thighs with salt and lay them into the slow cooker. Purée the rest of the ingredients in a blender. Taste the sauce and adjust salt/ingredients as needed. Pour sauce over the chicken. Slow cook on low for eight hours. Skim the fat off the top. Reduce some of the sauce on stovetop on low heat for 15 minutes, to thicken. Blend and adjust seasoning to taste. 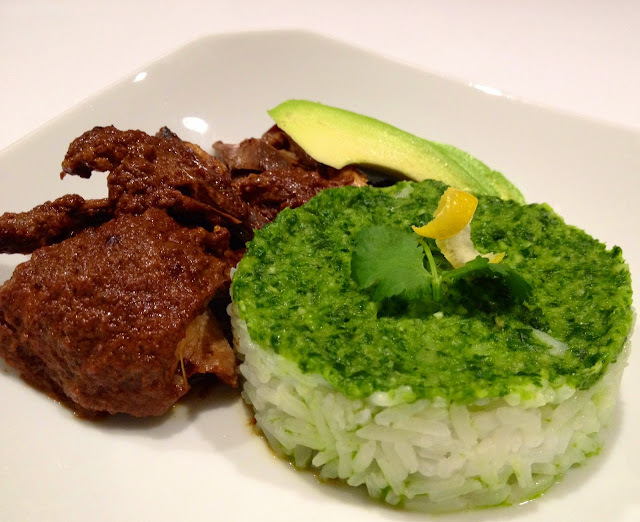 Serve sauce a top of rice, with a side of chicken in the mole sauce.